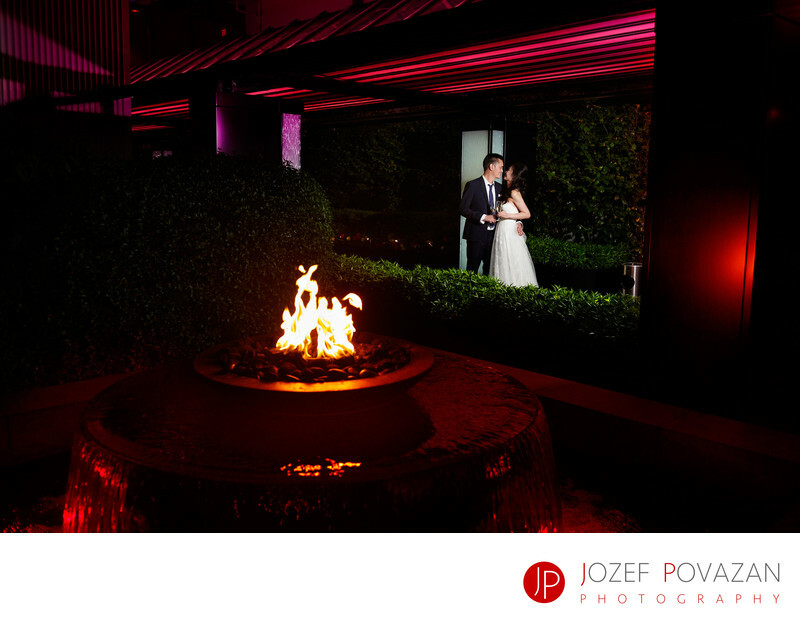 Creative Fearless wedding photographer Jozef Povazan - Best Vancouver wedding photographer Jozef Povazan Photography studio. Vancouver Fearless wedding photographer Jozef Povazan captures creative moments between bride and groom with gelled flashes at Dockside Granville island. Location: 1253 Johnston Street (Granville Island) Vancouver B.C. V6H 3R9.